The Daviess/DeKalb Regional Jail is managed by a team of dedicated, well trained personnel that all have the same goal; provide a safe environment for staff to work and to house detainees securely. The Jail Director Position is currently being held by Edmon E. Howard Jr. Mr. Howard was hired in 2011 for the Deputy Director position and was promoted to the position of Director in March of 2016. With over 30 years’ experience in the field of corrections and law enforcement, Mr. Howard was given the responsibility to oversee the daily operations of the jail. Some of the duties of the Director is to review policy and procedures to ensure they are current and in line with Missouri Jail Standards and Statutes. 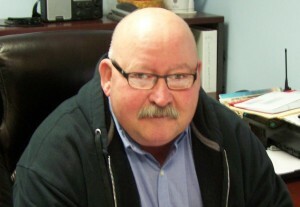 Mr. Howard has ties to the Pattonsburg area and likes to be involved community affairs. Timothy Carder was selected in 2017 to fill the position of Deputy Director from a group of 5 applicants that applied for the job. Mr. Carder began his career in law enforcement in 1987. Fourteen years of that he has served with the state of Missouri Department of Corrections. He has served the community well and it is expected that he will show the same dedication to his current position. Some of his responsibilities will be to manage the security staff of the jail and to fill the position of Director in Mr. Howard’s absence. Lori Burke was hired to fill the position of Administrative Assistant in November of 2015. She has ties to the Pattonsburg community and has become a valuable member of the Daviess/DeKalb Regional Jail team. Ms. Burke has a history in corrections and has worked as an Administrative Assistant since 2008. Some of her responsibilities are processing billing, accounts receivable and payable, payroll and Human Relations. Ms. Burke also assists the Director and Deputy Director in the hiring process to ensure that employee rights and regulations are followed. The Administration ensures that adequate and safe transportation is provided for the detainees for court appearances, nutritious meals and access to medical services for all prisoners. Mutual respect and communication helps create a safer environment for both prisoners and staff. Our goal is also to provide services to all jurisdictions housing their prisoners with us. This will enable the smaller departments to keep their officers in the communities to protect and serve the citizens.